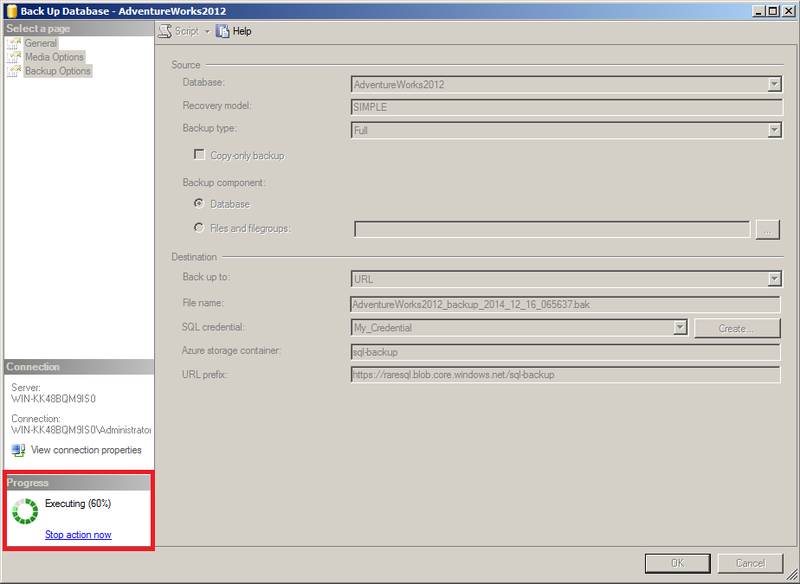 In my earlier article, I explained how to take SQL Server backup to URL in SQL Server 2014 using T-SQL. 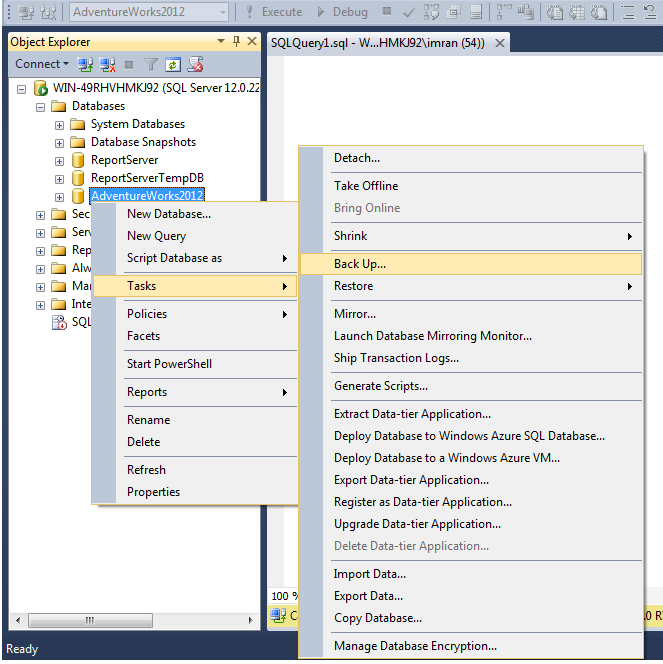 In this article, I will explain how to take SQL Server backup to URL using SQL Server Management Studio (SSMS). 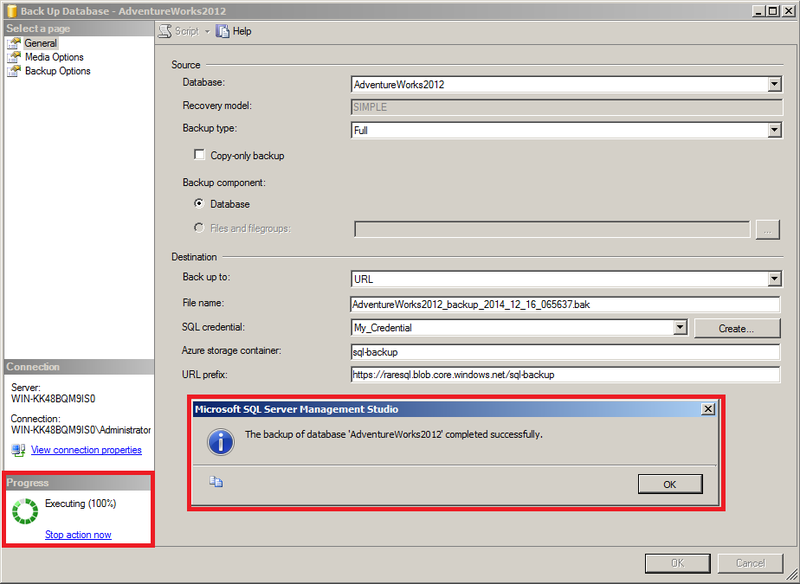 Let me demonstrate in few easy steps how to take backup to URL using SSMS. First of all, you need to create a windows Azure account, a storage and a container as explained in this article. This step is mandatory to move forward. Once you have the details, you need to download the publishing profile. We will use this publishing profile in the next step to create credentials. Given below is the URL that will take you to your Microsoft Azure account, and once you log in your account, it will download the publishing profile having extension of .publishsettings. The next step is to take the backup of any database on Microsoft Azure. 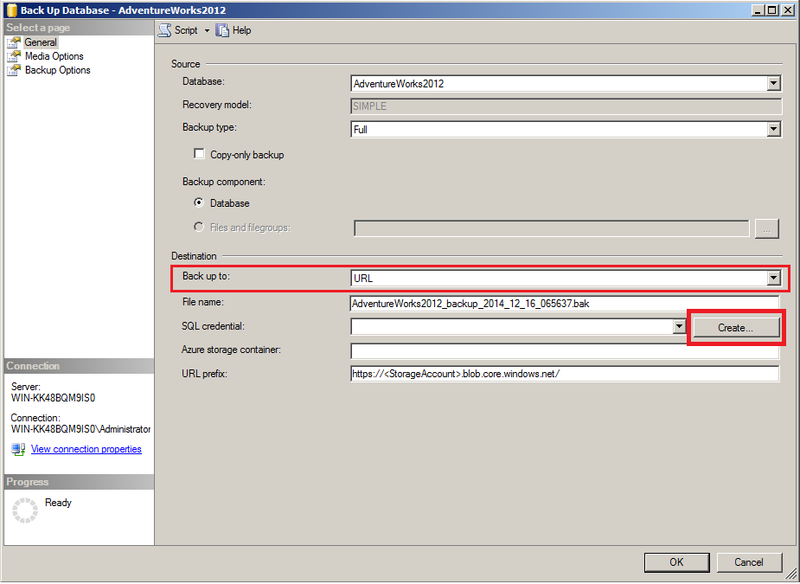 In order to do it, first of all select that database, right click on it, go to tasks and further select backup as shown below. This is the same procedure we follow to take the traditional backup. 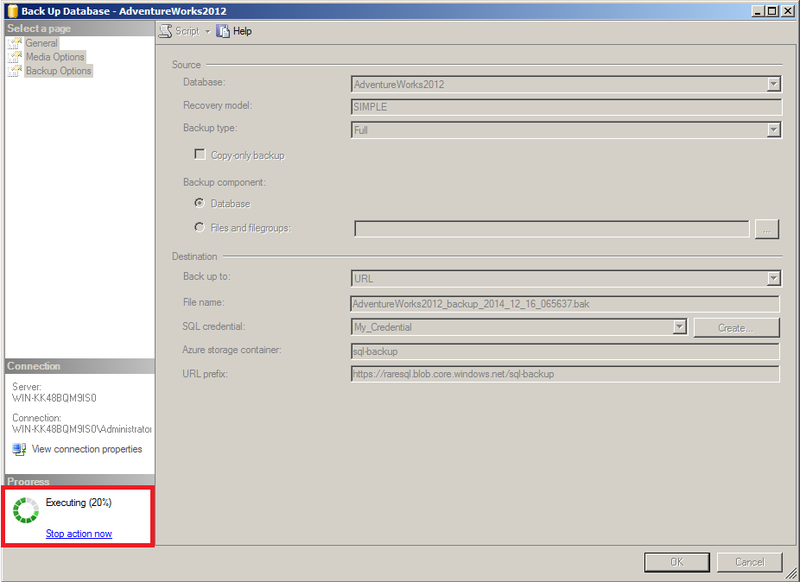 Once you selected the backup option, it will open the backup dialogue box. Here, you need to select the Back up to is URL. 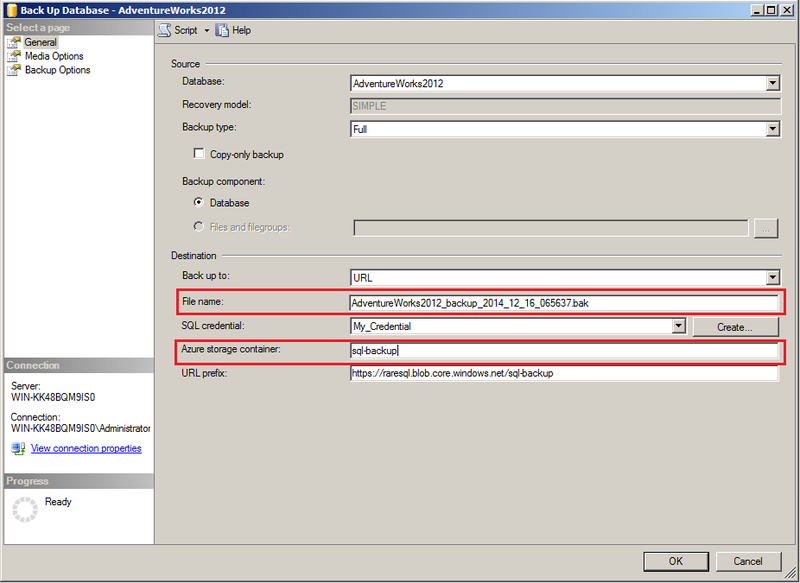 Here you see few backup options but for now you need to ignore these options and create credentials. Click the Create credential button as shown below. Now, you are in the credential creation screen, here you need to BROWSE the file which you have downloaded in Step 2. 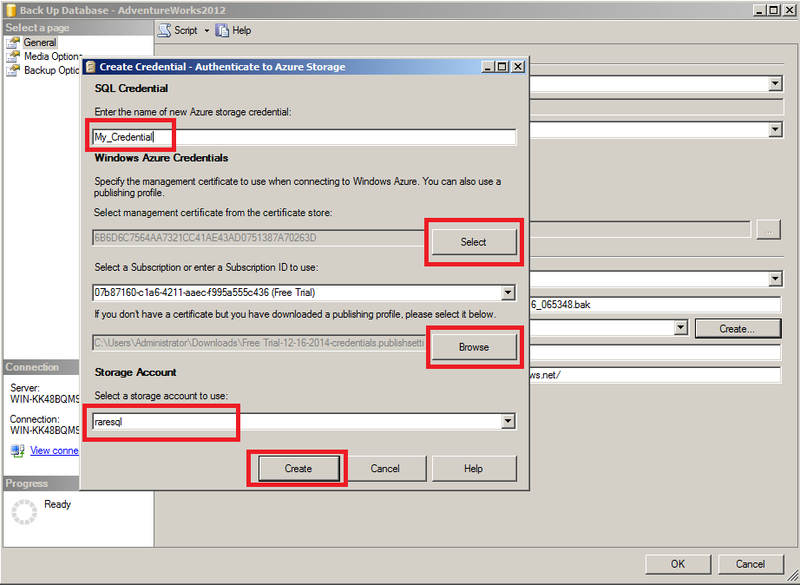 Then SELECT the CERTIFICATE, it will automatically populate the STORAGE(s) after AZURE account verification. Then you need to select the STORAGE. Once you are done with all selections, you need to give a NAME to the credential and press Create button. Note : If you have already created the credentials, you do not need to follow this step. Once you created the credential, you will revert to back up dialogue box and your created credential will be selected automatically. 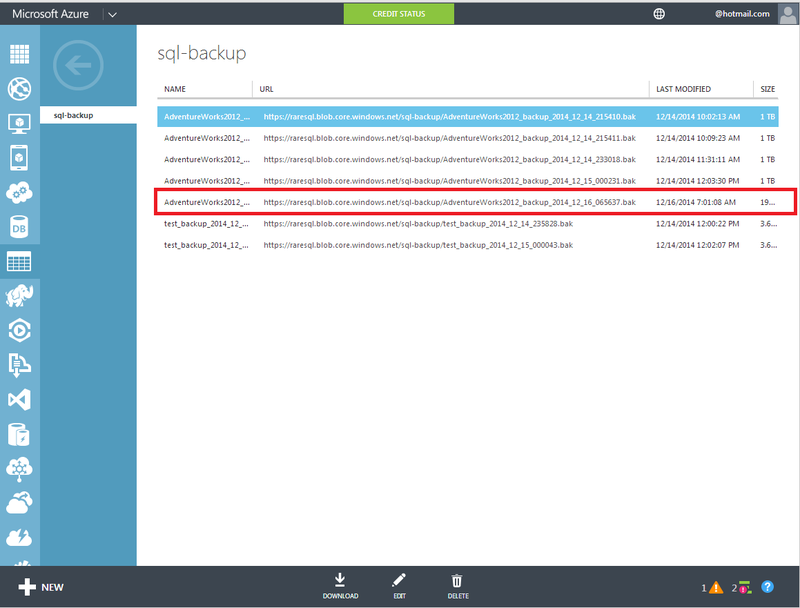 Now you need to enter the FILE NAME of the backup as well as the AZURE STORAGE CONTAINER NAME that we have created in earlier article at Step 9 as shown below. Press OK button. Once you pressed OK button, the back up operation will start, however as compared to local, this back up operation will be slow. Be patient and wait for it to finish the operation as shown below. The back up is done now, lets go to the container inside the storage in Windows Azure and check if the backup is available there or NOT because we saw the confirmation report in the above step. As you can see above, the Back up is available in Azure. Isn’t it cool 😉 ?